Make the most of your time in Iceland with a full-day, private 4x4 tour that explores the best of the South Coast’s stunning natural landscapes and scenery. Slip behind a powerful glacial waterfall where Seljalandsfoss and Skógafoss tumble from a high cliff, then continue through an otherworldly rock desert to the ocean. 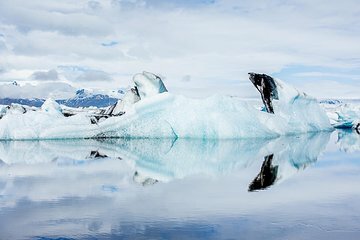 Walk black sand beaches pounded by North Atlantic waves and wind, visit the volcanic park that shelters Iceland’s highest peak and see a glacial lagoon dotted with blue icebergs before returning to Reykjavík.